Chaz Mostert has shattered the lap record to take his third ARMOR ALL Pole Position of the year at the Woodstock Winton SuperSprint. The Supercheap Auto racer smashed the number set by teammate Mark Winterbottom yesterday – and then he lowered it again, with a cracking 1min18.7603 lap with seven minutes to go. 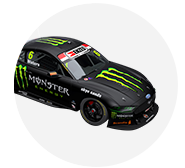 DJR Team Penske’s Fabian Coulthard gave it everything to match the Ford Falcon FG X – and missed out by a mere 0.0058sec to finish P2 in the 20-minute session. “This one goes to my engineer Brad [Wischusen] – we were a little bit behind the eight-ball in practice but he stuck to his guns,” Mostert said. Coulthard is hoping to turn around a hard day yesterday, after a small error in qualifying left him buried in the field. “It’s a good turnaround from yesterday – we should’ve done a reasonable lap but I made an error through the sweeper and you can’t afford to do that. Hopefully we can turn it around [today],” he said. Both drivers on the front row are yet to win a race this season, with nine different winners recorded in 10 races. One second covered the field of 26 cars, with eight cars going below the lap record. Jamie Whincup was the first in the 18sec bracket with 14 minutes remaining, but dropped to eighth as the top times kept coming. 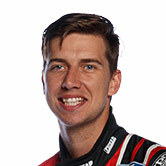 Yesterday’s race winner Tim Slade finished fourth and will start alongside Craig Lowndes on the second row. Champion Mark Winterbottom will start 10th after the team reportedly dealt with an engine sensor issue this morning before the session. The Supercars will hit the track at 1.45pm local time for 200km at the Woodstock Winton SuperSprint.